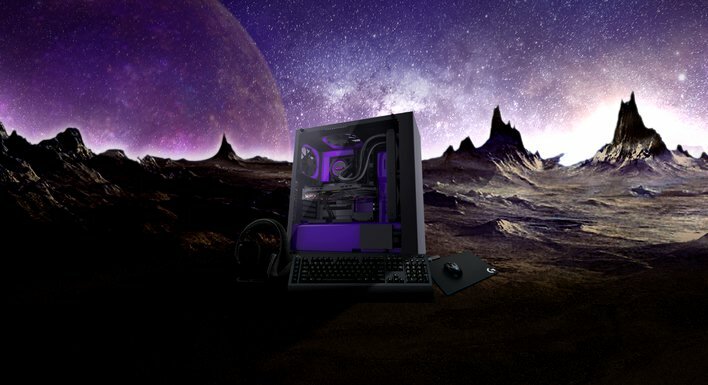 Chassis: NZXT S340 Elite Limited Purple Edition featuring tempered glass. The top IO panel has been optimized for a streamlined VR experience. It includes a magnetic cable management puck to store VR or audio headsets with fast and flexible mounting access.